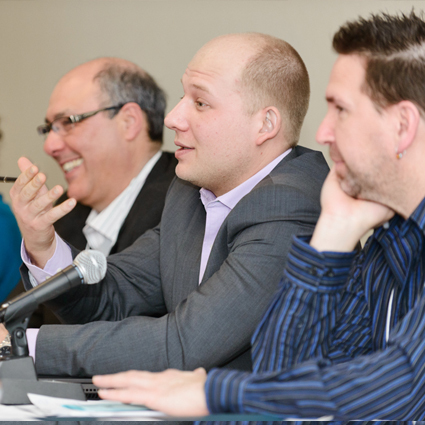 How does evaluation fit into a knowledge mobilization (KMb) project? Maybe you’ve got some really valuable findings to share or maybe you’ve found a successful way to implement an evidence-based program. Whatever it is, you’ve done something great and you’re looking to share what you’ve learned and experienced with others. But how do know if you are using the best strategy? How do you know if the information is getting into the hands of the right people? Are those people using that information? How are they using it? This is where evaluation comes in. 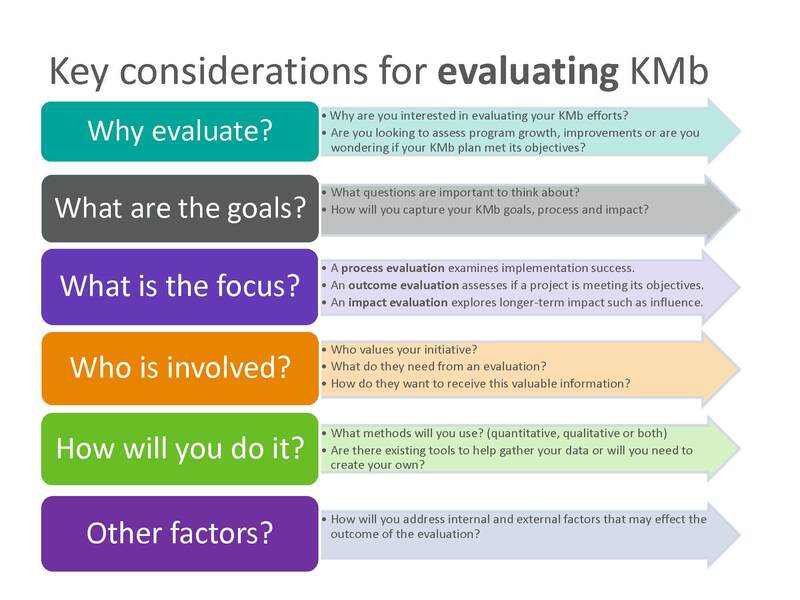 Evaluation can help you assess your knowledge mobilization efforts, and it is a key component to your project’s success. What is the expected impact of your initiative? increase awareness of your findings, current issues on a topic or knowledge in a particular area? increase the user’s capacities to apply knowledge? change service providers’ beliefs or behaviours? influence a program or policy? integrate knowledge into a decision-making process? increase collaboration among knowledge producers and users? To download this image in a printable format to share, click here. 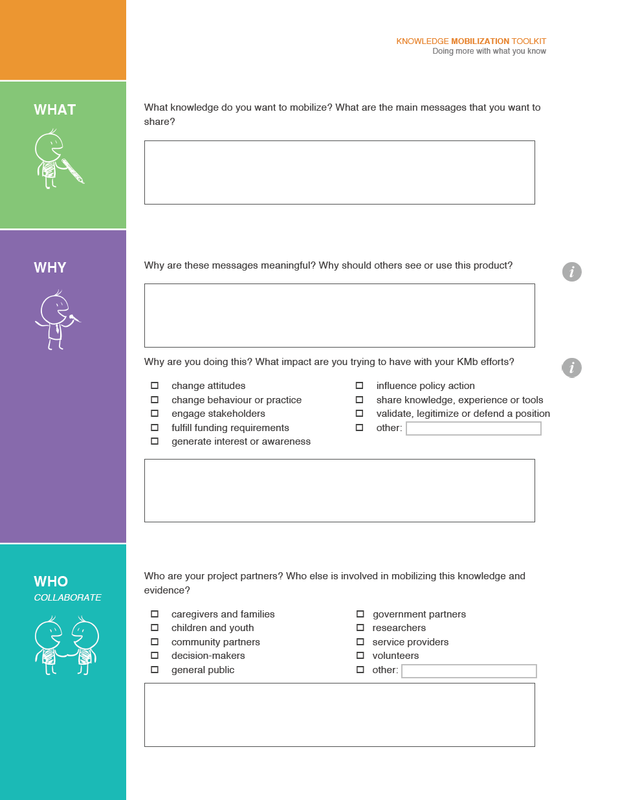 For more detailed guidance on planning an evaluation specific to your knowledge mobilization initiative, download the knowledge mobilization plan here!